The killing of Cecil the lion, a magnificent 13-year old and an icon in Zimbabwe, has justifiably outraged the world. It's not just animal lovers who have been sickened by his death; baited, arrowed and shot by a hunter in Zimbabwe, but the media and world citizens alike. As a conservation organization that works in Africa, we are fundamentally opposed to hunting in all forms – canned lion hunts and trophy hunts. Fortunately in Kenya, trophy hunting is banned and this latest killing, one of hundreds that goes on each year, shows again why trophy hunting is wrong and flawed. 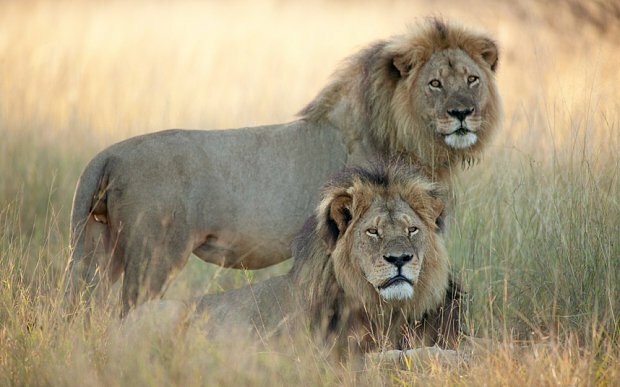 Across Africa, lions "the king of the jungle," are experiencing a monumental decline due to human-wildlife conflict, prey depletion and habitat loss. Zimbabwe citizens, as well as the world, have been outraged about the circumstances in which collared lion, Cecil, was killed, but he is just one of many killed each year, their lives often auctioned for a hunt. In fact, according to Lion Aid, trophy hunters in Zimbabwe killed around 800 lions in the 10 years to 2009, out of a population in the country of up to 1,680. But it's not just lions. Cecil, is just one of many animals sold for hunts. A 14-day elephant hunt in Zimbabwe is currently being sold online for $31,000 and includes the killing of one elephant. Buffalos meanwhile go for $14,600 on the same site. Zimbabwe's policy of selling lions, buffalo and even elephants - see the sale of 24 orphaned elephants to a Chinese safari park - be it for hunting or zoos, shows their belief that their natural resources and icons of Africa are there to be consumed, not protected. But Zimbabwe is not alone, earlier this year, a hunter paid $350,000 to kill an endangered black rhino in Namibia, again causing global outrage. Alongside the obvious ethical reasons to stop killing our wildlife for sport, our iworry report "Dead or Alive" found that in the case of elephants, they generate far more income for a country alive than dead - around $1,607,624.83 over an elephant's lifetime. The math isn't done for lions but it's clear every year, thousands of tourists travel to African nations to get a glimpse of the "king of the jungle." Above all, Cecil was an individual with a right to life like us all. We hope this latest incident, a saddening loss of life, makes any hunter think twice before they pay to engage in a blood sport under the ostensive guise of conservation. But even more so, we hope pressure is heaped on governments like Zimbabwe that allow hunting in the first place, which opens up the opportunity of exploitation. It results in senseless deaths of icons like Cecil and kills many more, anonymous but equally as important, individuals too. Find out more about our work to protect Kenya's wildlife at: www.sheldrickwildlifetrust.org.